BUFFALO, N.Y. -- U.S. Attorney James P. Kennedy, Jr. announced today that Joseph M. Gullotti, 57, of Jamestown, NY, who was convicted of food stamp benefits fraud, was sentenced to six months home detention by U.S. District Judge Elizabeth A. Wolford. The defendant was also ordered to pay $173,515.00 in restitution to the U.S. Department of Agriculture. Assistant U.S. 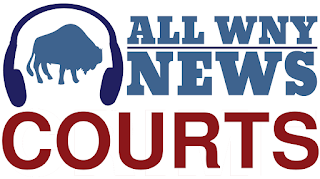 Attorneys Douglas A.C. Penrose and Mary Catherine Baumgarten, who handled the case, stated that the defendant owned and operated Fresh Cut Meats & More, at 631 Newland Avenue in Jamestown. Gullotti, as the owner of Fresh Cut, was authorized to accept and redeem food stamps. The U.S. Department of Agriculture prohibits a retailer from accepting food stamps for ineligible items such as beer, cigarettes, and hot prepared food, from giving cash for the benefits, and from using the benefits to pay for items purchased on credit. Between January 2015 and March 21, 2017, the defendant and others accepted food stamp benefits to pay for merchandise purchased on credit by a beneficiary including ineligible items. During that time, Gullotti and others engaged in approximately $173,515 of unlawful transactions. Today’s sentencing is the result of an investigation by the U.S. Department of Agriculture, under the direction of Special Agent-in-Charge Bethanne M. Dinkins; Immigration and Customs Enforcement, Homeland Security Investigations, under the direction of Special Agent-in-Charge Kevin Kelly; and the Jamestown Police Department, under the direction of Chief Harry Snellings.